I have not done much stitching this month, but I do have some things to share. I received a wounderful surprise last week from Kim over at Wisdom with needle and thread, Kim was a stitching angel after a disappointing exchange at Halloween, she contacted me and said she had put a little something in the post, this is what I received, Kim was very genourous in what she sent. 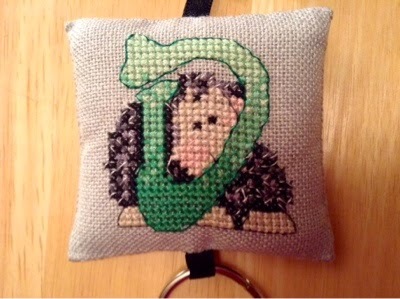 Here is the Sheep I stitched for HOE exchange in March. 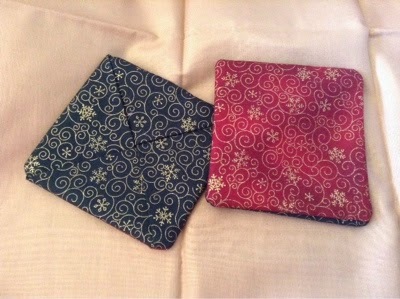 I finished it as a scissor/thread keep. What lovely gifts from Kim, she does fabulous finishes. Your sheep ornament is really cute. 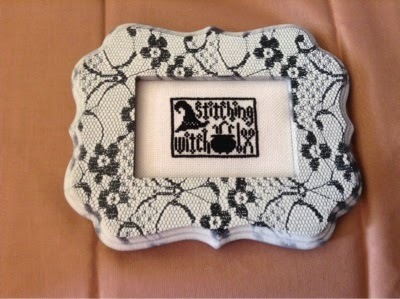 I love Kim's Stitching Witch picture and the frame. 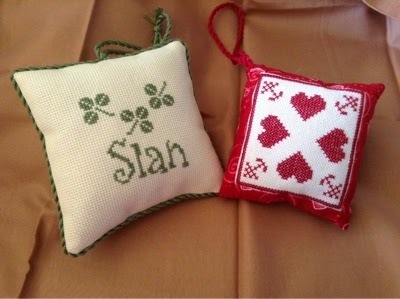 You were very lucky to receive such gorgeous gifts and I love your stitched sheep too! Stitching we don't like doing!